Like many, I most certainly enjoy being entertained. My wife finds it funny that one of the quickest ways to grab my attention and inspire a genuine laugh is to show me a video with talking animals. Works every time…simple things. Another guilty pleasure of mine is listening to others demonstrate their command of idioms as they creatively weave these phrases into their daily vernacular. Though on occasion I have been known to use, Actions speak louder than words, Ball is in your court, Best of both worlds, or Give the benefit of the doubt, I am far from a heavy idiom user and the most creative ones have not found their way into my linguistic toolbox. Admittedly, I find it very funny when we use idioms incorrectly. I will never forget the meeting where I very confidently told the rest of the team that I was indifferent on a given topic because “I don’t have a cat in the fight.” A cat? Really? I guess it makes no less sense than a dog, but the looks I received were priceless. Saying them incorrectly is one form of funny, not understanding what they truly mean is another story. It wasn’t that long ago when I learned that I completely misunderstood the meaning of Divide and Conquer. For longer than I care to admit, I’ve been using it as a means of breaking huddle after strategy sessions. In my mind, it served as a rallying call to distribute leaders across the team after synchronizing our collective agenda with the objective of expediting progress. Turns out the defined meaning of Divide and Conquer is almost the complete opposite of my intent: a way of keeping yourself in a position of power by making the people under you disagree with each other so that they are unable to join together and remove you from your position. Needless to say, I have since struck the phrase from my vocabulary. I spend a lot of time looking for talent. In fact, I am known to pick my protégés. And I am not afraid to advocate for the people I believe are most deserving. Many may think it is favoritism. It is, for I favor the passionate, the competent, and the team-oriented self-starters. Some may think it’s a throwback to the Good Old Boy Culture. It would be if I didn’t sponsor people of all ranks, genders, and ethnicities. I prefer the Greatness Culture. Doing anything less than sponsoring our best leaves our future to chance. And with that approach, I don’t like our chances. For a long time, I thought the best path to progress was to concentrate the Favored on a single team. That approach continues to be both extremely valid and irresponsible. Whether we see it as valid or irresponsible is all in how we define a team. If we define team vertically (e.g., people assigned to a singular work center, division, or department) then a concentration of talent on a singular team is the surest path to short-term tactical wins and long-term strategic losses. If we define team horizontally (e.g., peers assigned to different work centers, divisions, or departments), then concentration makes short-term progress more difficult to see and long-term wins more lasting. I’ve always been a long-term leader and therefore continue to define team horizontally. When we Divide and Partner, we use the division of talent as a means of multiplying outcomes. When we Divide and Conquer, we do quite the opposite. I may not have hit the nail on the head in my effort to make a long story short and we may not see eye to eye, so take it with a grain of salt. And, rest assured I have no interest in conquering those in my charge. True leaders don’t. It’s all about partnering. It’s all about outcomes. It’s all about the long view. 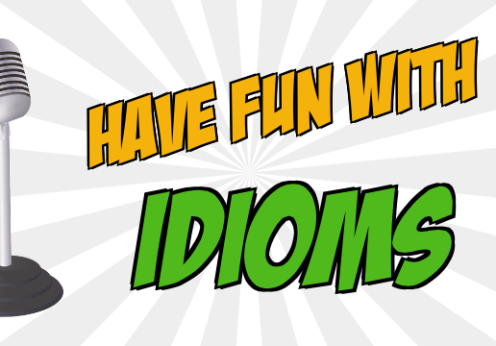 What is your favorite (or least favorite) idiom? Who is deserving of your favor? How will you Divide and Partner?